Close-up vector illustration of plants and animals. Blooming daisies with big leaves with dewdrops, colorful butterflies, ladybirds and a cricket. Long stems of grass and bokeh lights in the sky. Free vector illustration for all spring, nature, plants, flowers, animals, floral, natural and organic design projects. 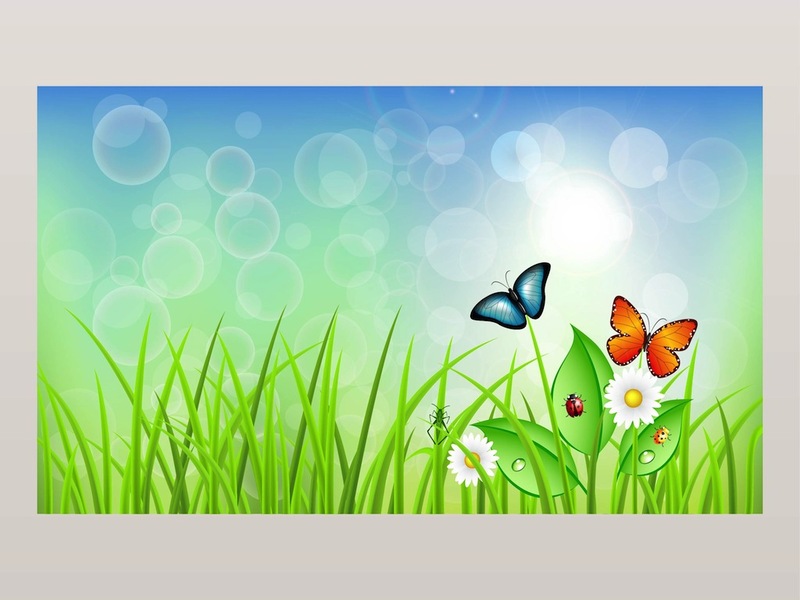 Tags: Butterflies, Cricket, Floral, Grass, Ladybugs, Nature Vector, Plants.